We've got a riddle for you: what has an adjustable leather strap, a circle buckle, is suede lined and has the ability to go with absolutely everything? 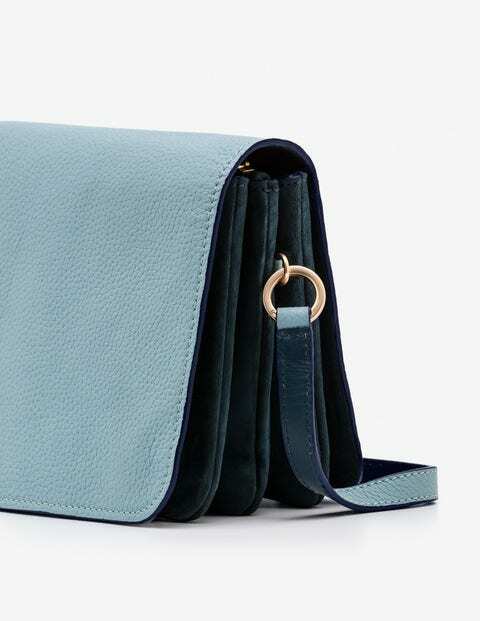 Our versatile, 100% grainy leather crossbody bag, of course. It has three internal suede pockets: one zipped and two magnetic clasp, to keep rummaging to a minimum. It's guaranteed to add oomph to any outfit.